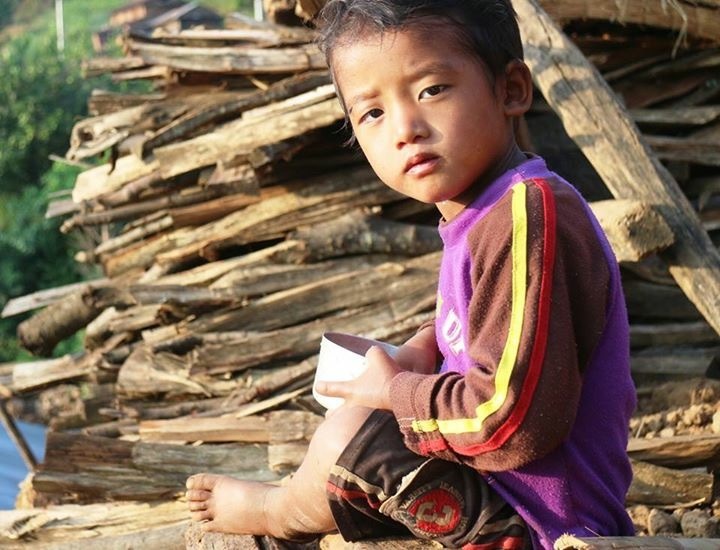 On 25th of April 2015, a 7.9 magnitude Earthquake hit Nepal killing over 8000 people, and leaving hundreds of thousands homeless, vulnerable and scared. The fear of the unknown accentuated further when only 17 days later the country was struck by a very strong aftershock with a magnitude of 7.3, causing a lot less damage but still more loss of life and increasing uncertainty and fear in people’s minds. In the face of the trauma and devastation, together with our partner organisations on the ground, NCF Nepal and Namaste Foundation (The Netherlands), we were able to join in the international efforts to help the earthquake victims. After a day-long drive on difficult roads we reached the remote district of Sindhupalchowk, an area east of Kathmandu where most destruction and the highest casualties were reported, to deliver emergency aid packages and tents to the most affected families. Tens of thousands of children remain vulnerable after the earthquake. Hundreds of schools have been destroyed or are unsafe to use. There are temporary school establishment being used in the hope that these children could at least continue their regular schooling after the devastating events.